Warren Buffett is widely considered to be the world’s most successful investor. With a net worth of more than $68 billion, he was ranked the fourth-richest person in the world by Forbes in 2014. So it might surprise you that Warren Buffett’s massive portfolio is relatively under-diversified. In fact, 63% of his holdings are parked in just four stocks. What makes those stocks so special? And how have those picks been working out for Warren Buffett in 2014? From smallest to largest, here are the Oracle of Omaha’s top four holdings. Many investors were shocked when Buffett’s Berkshire Hathaway (BRK.B) took a heavy position in International Business Machines (IBM) back in 2011. He announced that Berkshire had piled into IBM stock to the tune of $10.7 billion — taking a 5.5% stake in the company — without so much as telling the iconic tech company. IBM found out they had a new 5% owner the same time the rest of the world did. The IBM stock purchase was unusual for its size, but also because Buffett had infamously avoided the tech sector before then. Perhaps Buffett would’ve been wise to remain tech-averse: after IBM’s weak quarterly report on October 20, Berkshire’s stake reportedly lost more than $1 billion in value. Sure, Warren Buffett may be a modern-day financial “oracle,” but he’s never had a laser focus on short-term returns. Judging by the performance of his four flagship investments recently, that makes a lot of sense. American Express Company (AXP) stock is off about 1% in 2014, lagging the benchmark S&P 500 Index by a solid 10 percentage points. American Express is a great business, but it’s not a growth business … not anymore. Of course, Warren Buffett is a world-famous value investor, not a growth guru, but American Express might be too mature to grow any more at all. Revenue has been growing at a decelerating rate annually since 2009, and analysts actually expect sales to fall in the 2014 fiscal year. The Coca-Cola Co (KO) is one of Warren Buffett’s more famous investments. Berkshire invested in the beverage giant back in 1988, and at the time people thought it was insane. KO stock was near multi-year highs, and didn’t seem like much of a bargain. Buffett was spot-on though, and KO stock has generated returns in excess of 900% for the Berkshire portfolio. The Oracle of Omaha’s long-time romance with Coca-Cola is well known, but it might be time for a civilized breakup. KO’s global soda sales by volume fell 1% in the first quarter of 2014, the first such decline in 15 years. With obesity and diabetes major health concerns and organic, healthy living making a comeback, investors aren’t lining up to buy KO stock nowadays. Coca-Cola shares are up modestly year-to-date. Lucky for ol’ Warren, his largest bet on a single stock has done well this year: Wells Fargo & Co (WFC) stock is up more than 17% year-to-date. While Buffett isn’t much a fan of technical indicators, the MACD line on WFC stock recently generated the first buy signal since August, according to InvestorPlace contributor David Becker. Technical indicators are fine and dandy, but it’s more meaningful for long-term WFC investors that Wells Fargo rewards shareholders with a 2.6% dividend yield annually, good enough to make it one of the 3 Best Dividend Payers in Big Financials. As of this writing John Divine held no positions in any of the stocks mentioned. You can follow him on Twitter at @divinebizkid. 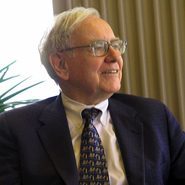 Article printed from InvestorPlace Media, https://investorplace.com/2014/11/warren-buffett-portfolio/.